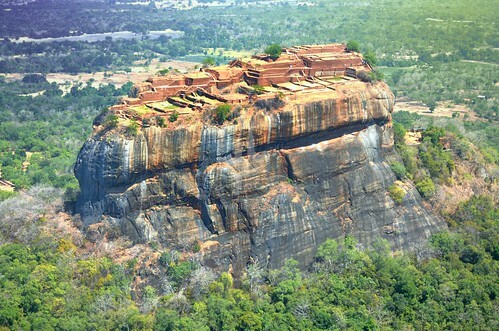 Lion Rock Fortress on top of Sigiriya Rock is an amazing work of architecture. 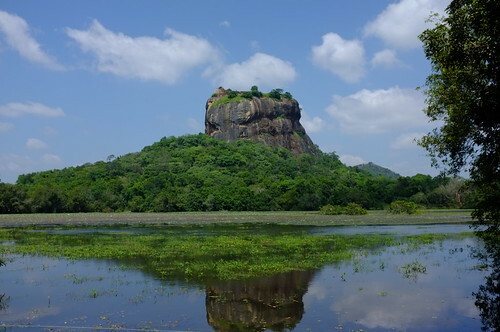 Geologically the Sigiriya Rock in Matale District, Sri Lanka, is a hardened collapsed magma plug of an extinct volcano. The 180 metre (590 ft.) high rock has flat top with sheer on all sides and it rises abruptly from the flat plain surrounding it. 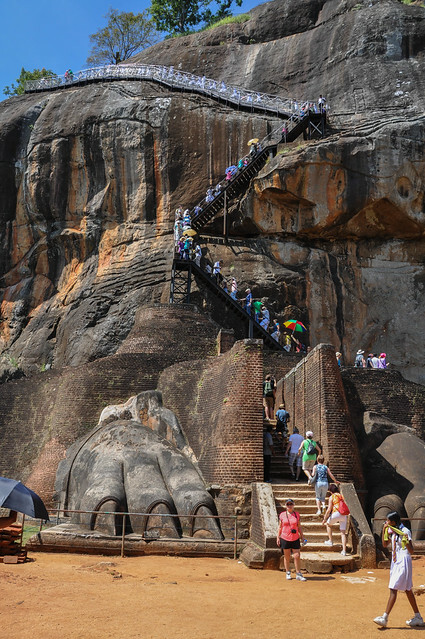 Taking advantage of difficult access to its top, King Kasyapa built his royal palace by transforming the natural rock into his fortress. 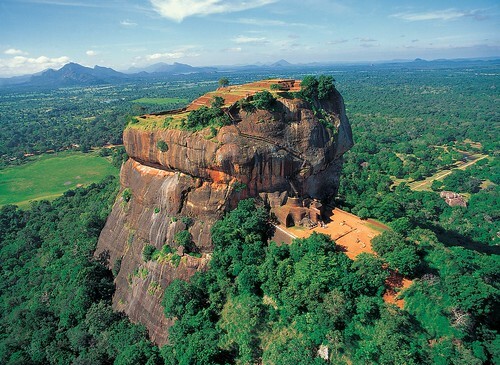 Built in late 5th century the fortress complex consists of an upper palace located on the top of the rock, a mid-level terrace which contains the lion shaped gate and a lower palace. In addition it is surrounded by moats, walls and gardens which extend several hundreds of metres from the base of the rock. 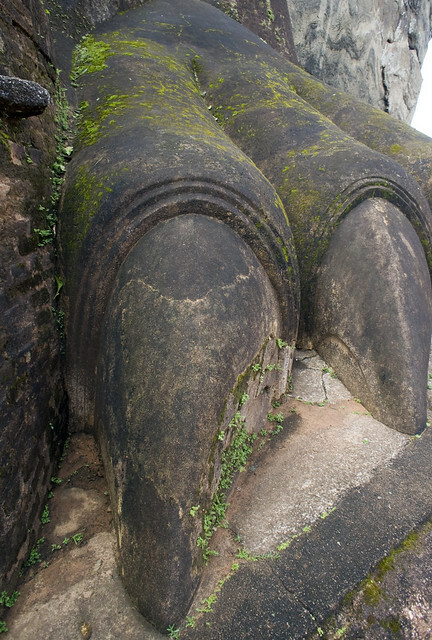 The lion shaped gate with gigantic paws is made out of brick and mortar. 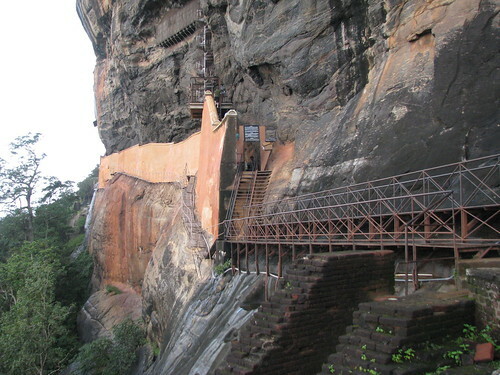 It is the gateway to a series of passageways and staircases which ultimately go to the top of the fortress. 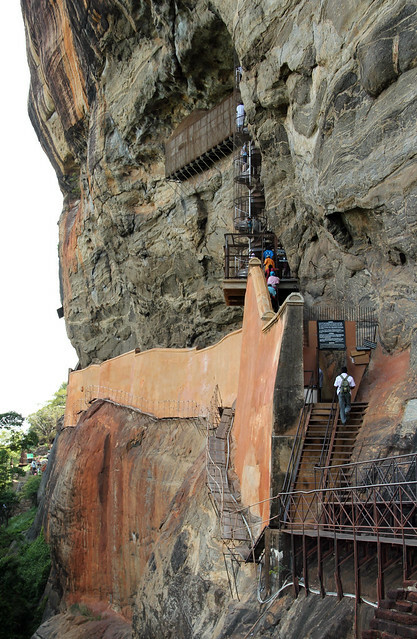 Due to the shape of the entrance, the fortress is called "Lion Rock Fortress". 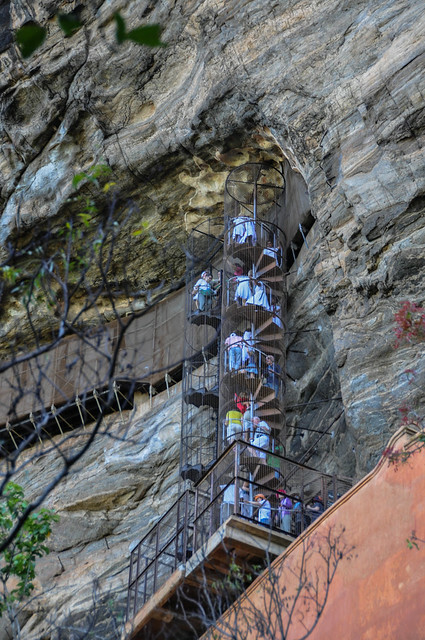 Besides the upper palace, the top of the rock also contains gardens and large water cistern hewn out of rock. It also contains several rock paintings. Reportedly there were about 500 paintings however most of these were destroyed by vandalism and only 22 paintings survive today. 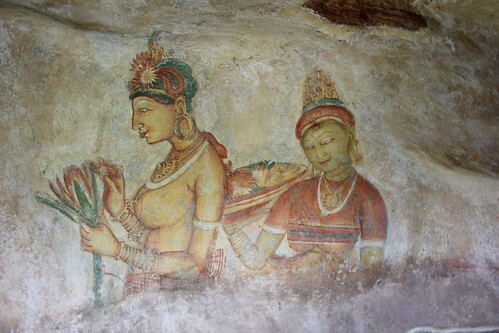 The frescoes painted in the fifth century AD are similar to the famous paintings in Ajanta cave, India.